Throwing confetti at weddings is a beautiful tradition that takes place in ceremonies all over the world. There are so many different types of confetti holders that are used such as trays, baskets, small boxes and my favourite confetti cones. The great thing about making your own confetti cones is that you can personalise them so that they are exactly what you want. And of course there is a high chance you will save a lot of money, always a bonus! It’s entirely down to personal preference what type of paper you use, ideally something sturdy enough to hold the shape of a cone. Some suggestions are thick paper, thin card or thick wrapping paper. One hand tip is to practice the cone on scrap paper, especially if you have bought expensive paper. Cut your paper into a square shape, the dimensions should be approximately 21cm. 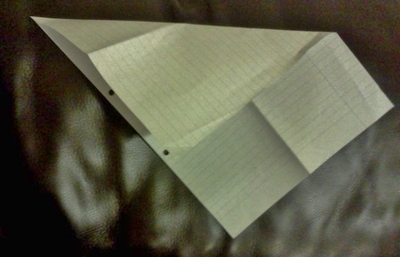 If you are using A4 paper, the method of creating a triangle to make a square will give you the perfect amount of paper. Fold in the bottom corner making a triangle. The side should be 7cm roughly. To make the cone you can role the paper together. However, I prefer to fold it half way then fold the other side over it. This way you can control how big the scoop of the cone is, ensuring there is enough space to grab petals. If you want a sharp point at the bottom you can gently twist and roll the cone together. Stick it together with sellotape at the bottom then staple it at the top. The excess can be cut off. The sides can be cut to give the shape of the cone more definition. Cutting off the excess paper. Take a piece of tissue paper and fold it in sections that are 7cm wide. Then fold it one final time and cut some diamond shapes in the tissue paper. Unfold the tissue paper, then cut a section off using the fold line as a guide. The result will be a 7x19cm panel. Wrap the tissue paper around the cone and secure with a staple. Some confetti cones are held in a basket whist others are hung up on an ornament. You can use a hole puncher to make a hole at the top of the cone. Cut off some ribbon, loop this through and knot it at the top. If you like you can add a bit of lining to the cone by cutting tissue paper and sticking it inside the cone. Fill with rose petals or tissue confetti. All the decorations used here are just examples, there is plenty of room for creativity. The possibilities are truly endless!